Color block on! 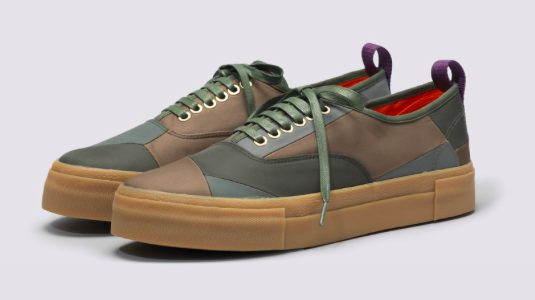 The cool low-key sneaker brand Eytys has teamed up with German artist Sion Mullan on this limited edition sneaker. The upper is composed of pieced together multicolored MA-1 nylon fabric with a vibrant purple twill heel pull tab. 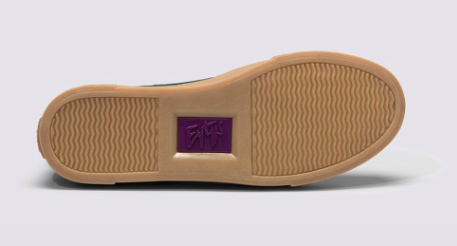 The thick strong layered gum sole is signed with the artists signature and phone number. 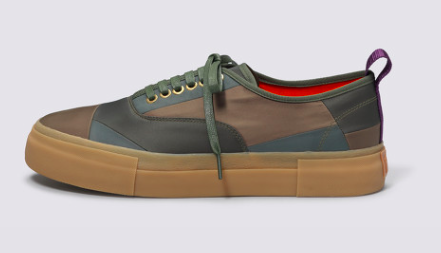 (Should you like the congratulate him on an awesome shoe). 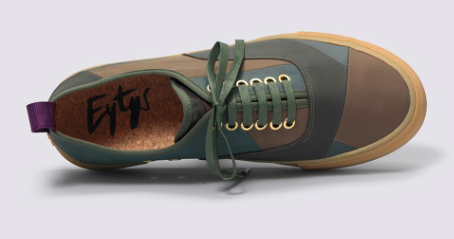 Available now in army green and navy at Eytys.com.